This is a wonderful dish of baked or grilled (on an open fire or barbecue to give a smoky flavor) aubergines mixed with tahini, garlic, lemon juice and olive oil. 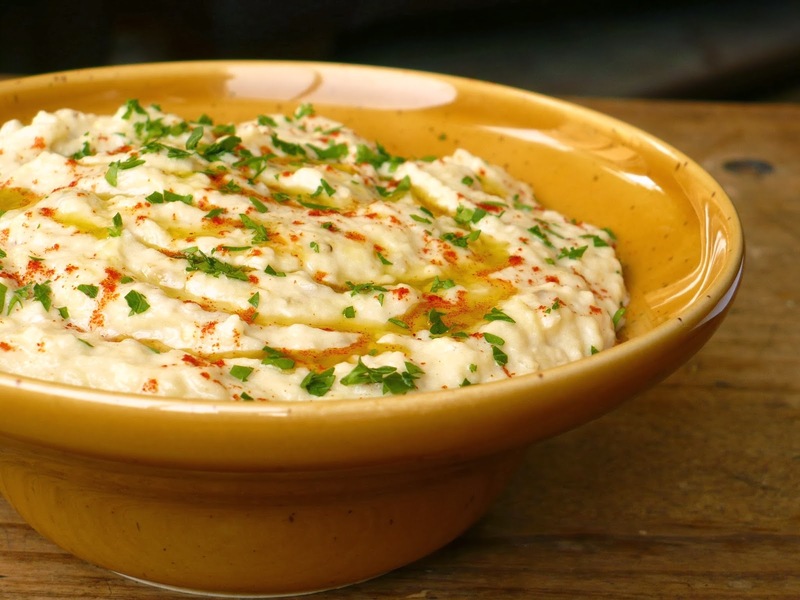 It is often saved as a dip for a starter or side dish. Step 1: Pierce the skins on the aubergines with a fork, then pop on a hot griddle or barbecue and cook, turning, until the skin is blackened and the flesh soft and tender. Step 2: Remove the aubergine from the heat and, when cool enough to handle, scrap off and discard the charred skin. Step 3: Mash the flesh with the remaining ingredients. Or, if you prefer this dish really smooth, blend in a food processor. Season to taste with salt and freshly ground black pepper. Drizzle with a little extra little olive oil and serve warm garnished with freshly chopped coriander or mint. This is delicious served with griddle or barbecued pita bread that is suitable for vegans.